JERUSALEM—At least three Israelis were killed and more than 20 injured by midday on Tuesday in a series of shootings and stabbing attacks around Israelthat marked a deadly escalation in two weeks of terrorist violence. In the center of the city, a driver rammed his car into a bus stop and then began stabbing people on Jerusalem’s Malchei Israel Street, killing one person. The victim was identified as 60-year-old Rabbi Yeshayahu Krishevsky. His funeral began at 2 p.m. at the Pinsk Karlin Synagogue in the Beit Yisrael neighborhood of Jerusalem. He is survived by a son, Schneur Zalman Krishevsky of Bnei Brak. 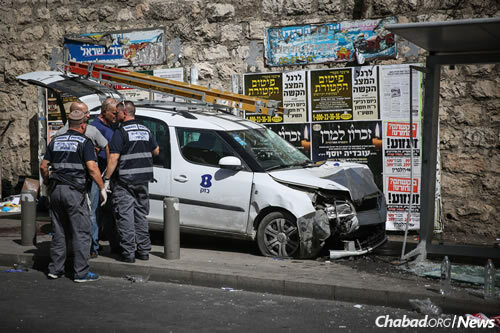 The driver was identified as an employee of the Bezeq electricity company who lived in eastern Jerusalem. He was shot and captured by police. Magen David Adom ambulance service said that five Israelis were rushed to the hospital with moderate injuries in the attack. 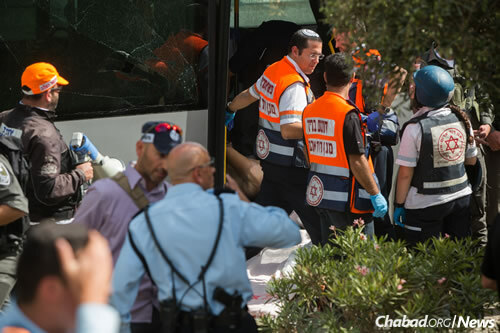 Meanwhile, two people were killed and more than 15 were injured when two terrorists opened fire and stabbed passengers on a bus in the Jerusalem neighborhood of Armon Hanatziv. One of the attackers was shot and killed, and the second was captured, according to Israeli Police spokesman Micky Rosenfeld. In the central town of Ra’anana, six Israelis were injured in a stabbing attack in the center of town. All of the victims were moderately or lightly injured and taken to the hospital, according to Magen David Adom. The attacker was hospitalized in serious condition after being struck by a car after attempting to flee the scene. Less than two hours earlier, a terrorist stabbed an Israeli at a bus station in Ra’anana before being wrestled to the ground by bystanders. Police said both the attacker and victim were wounded. Tuesday’s attacks represented an ongoing escalation of more than 30 stabbings and other terrorist attacks in Israel since the beginning of October. They followed four stabbing attacks in Jerusalem the day before, including one in which a 13-year-old boy riding his bicycle home from school was critically wounded by two Arab cousins, ages 13 and 15. In Israel, the Chabad-Lubavitch Youth Organization encouraged Jews the world over to join in the effort of encouraging others to don tefillin for the sake of the safety of the Jewish people. 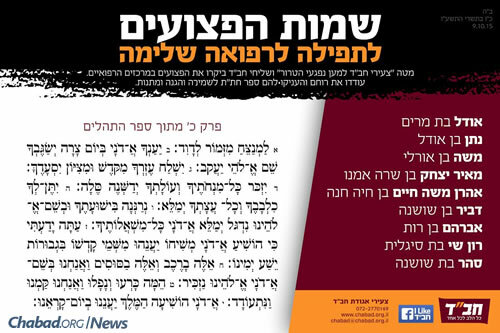 The tefillin campaign in particular comes in light of instructions given by theRebbe, Rabbi Menachem M. Schneerson, of righteous memory, who had issued a similar call during other dangerous times in Israel. Before the outbreak of the June 1967 war, for example, the Rebbe prompted an active campaign for Jewish males over the age of 13 to perform the mitzvah of tefillin. The Chabad Terror Victims Project (ctvp.org), Chabad-Lubavitch emissaries and volunteers are continuing their work of encouraging and assisting the wounded in the recent attacks in Israel. They are lifting their morale and trying to cheer them up with gifts and encouragement, in addition to providing emergency financial aid for those who need it. The public is asked to continue their prayers for the wounded. Here is a list as of Monday afternoon. Names will be added as they become available. 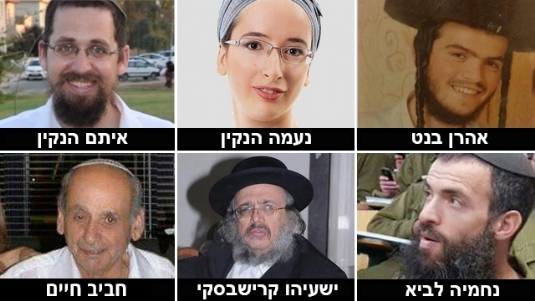 Chabad Terror Victims Project released this list of the wounded in need of prayer.